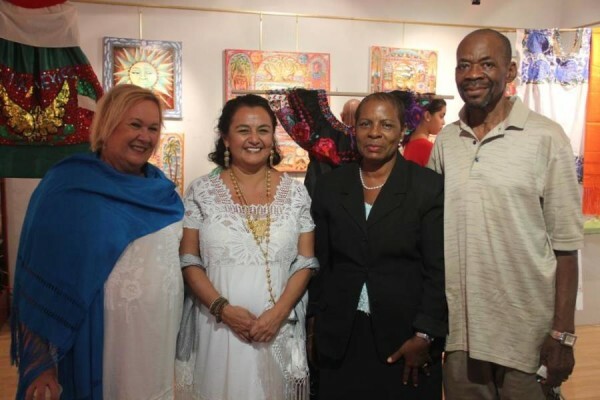 In a one-of-a-kind happening, Mexico and Grenada celebrated with the Honorary Counsel to Grenada, Magdalena Fielden on Monday evening at Art and Soul Gallery at Spiceland Mall. Members of the diplomatic corp, Minister of Culture Brenda Hood, gallery artists and the public joined Fielden and Susan Mains, owner of Art and Soul Gallery, in a unique display of culture and art. 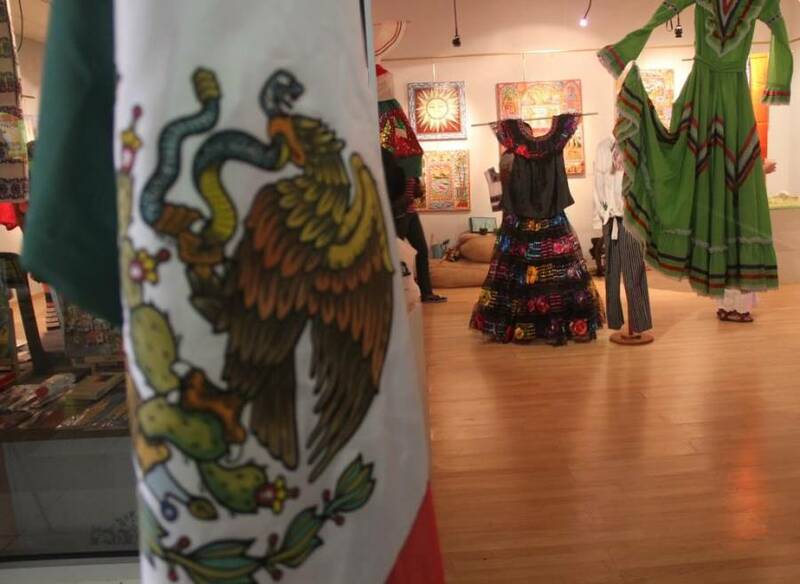 The traditional folk dresses of Mexico took centre stage, surrounded by paintings and sculpture of Grenada. A video demonstrated the folk dances. The beautiful dresses highlight Mexico’s attention to cultural heritage. Each one is made by hand, with thousands of stitches of embroidery. They represent the different States of Mexico, and particular icons of each area. Many people remarked that this points to the need for Grenada to establish an official national dress costume, to be worn for special occasions. On the walls, paintings by local artists Larry Catanzaro, Lisa Herrera, Susan Mains, Asher Mains, Daniela Froehlich, and Christina Cornier, picked up the colour from the dresses and sparked the air with little bursts of electric energy. A sculptural depiction of a desert cactus, with a mirror cleverly inserted into the centre, standing in the middle of the room was produced by Rene Froehlich. A full walk around was necessary to see every detail, and several people were caught in pictures, looking at their reflection in the mirror, thus the human form also being inserted into the sculpture of white cedar wood, metal, and mirror. Minister of Culture, Brenda Hood, graced the exhibition with her presence, and highlighted the warm relationship Grenada enjoys with Mexico. Mexico has indicated its willingness to assist Grenada in the preservation of cultural heritage, including the restoration of some of the historical buildings in St George’s, particularly the library. The exhibition is up at Art and Soul Gallery at Spiceland Mall until 11 September, from 10 am to 5 pm daily. Admission is free.